Drawing from past experience, Labor Day weekends are the most challenging. 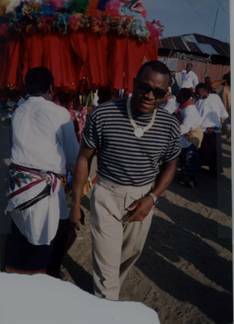 It is a prepaid ranch style either hunting trips and classes or jamming somewhere for club members (www.africannight.com). However, this coming Labor Day weekend will be a special one. The Ibani (Bonny) name invokes the ideas of hospitality and much love; values indigenes maintained generations after generations. To witness originalities plus good feelings will make the convention a great Labor Day weekend bargains to remember for the longest time. That’s why I am writing to make sure brothers and sisters know we as spectators do appreciate their efforts toward the great convention. Information on what you will expect at the Labor Day weekend convention plus pictures of our beautiful Island right in the middle of the Atlantic Ocean is available at www.grandbonny.org. The beautiful Island is only accessible by air and boat. Yea, we ride a lot of planes and boats down home. These qualities set us apart from the rest. Port Harcourt, our garden city witnesses yet another nightmare. The military command in charge were thrilled that they were able to cutoff an entire densely populated residential area for a successful bombing campaign to search for gang members. Based on the information available, residents were not given the chance to leave the area. All they woke up into was bombing across their neighborhood. What was the government thinking before the bombing campaign? At the end of the convention, observers will expect a very strong communiqué on the use of force in Nigeria communities. a) Who authorized the military to bomb out an entire neighborhood on a gang related issues. b) Does a military style campaign (bombing) in a densely populated area the LAST option? c) Address other options to rebuild our communities across the nation without the use of execution style tactics? d) Address the cutoff and bombed tactic that denied innocent residents the opportunity to negotiate for their safety. e) Demand that the Nigeria government make it public the number of innocent civilians casualties in the raid. f) Finally, the conventioneers must pass a resolution that Nigeria government adequately compensates families for their losses of lives and properties. Fellow Nigerians, my argument are because the government can fully organize and mobilize the police to take care of gangs related disturbance rather than the cutoff and bombed tactic. We cannot rely on the government claims that the police have the Diobu area blueprint, but lack the skills to repel the gangs. Observers will expect conventioneers to vote to empower the Foundation executives to send a letter to the Attorney General of Nigeria and his Rivers State counterpart respectively. The Nigeria government must take full responsibility for some of these gangs related problem. There is a need to institute an independent investigation on the manner of use of force (bombing) in densely populated areas. The most striking part is the government lack of exact number of innocent casualties since after the mayhem. Dear conventioneers, without stability, development and economic empowerment in your oil communities will continue to be a laughable stock. God forbid, but think about if these gang groups re-enter the mangrove, your convention agenda is completely a wash. What will you do if you’re an investor? Maybe, take a blind date tour to see periwinkle sellers. Sound cool. Worse, these gang groups may start to harass innocent investors who dare to continue economic development activities in the Niger Delta region. You may be shocked to learn how much worse things could get. It means so much to me and to all Nigerians. It does not matter whether those killed are gang members or not. The army has to realize that Nigeria is a democratic society based on democratic principles. The army does not have the power to kill at first sight. Okey wali, the charismatic Attorney General of Rivers State is a very honest individual. Trust that he will take this issue of human right violations very seriously. I am sure he would have agree it could have comes down to us in the neighborhood if the government of the day have use cutoff and bomb to settled the Seventies and Eighties Ikerre road/Man-Must–Wack junction disturbances. In testimony before the late FineCountry “the Great”, the government were able to cleared Ikwerre road criminals without any drop of blood. Furthermore, conventioneers need to consider if the Yar’Adua government explored all available options before the bombs started falling? The use of bombs to repel gangs disturbance seems new to most Nigerians. Frankly, this could amount to Nigeria weakest link. The army bragged about killing 42 gang members or more. Same whiny boys and girls dodged the superior firepower of the Cameron national army by quickly signing a treaty to surrender Nigerians and land. We are all Rivers by blood. We must condemn all type of human killing in our communities. So far, it seems the new government only accomplishment is riding on Yar’Adua credibility. Long in planning but short in real substance. They are now re-energized with Yar’Adua honesty and appreciation in humanity; hence, they have created the naira re-denomination campaign. Their arguments are based on bringing back the seventies and eighties buying power for naira. I appreciate the President’s strong stand on ethic. Of course, we have to cut him ($6,000,000.00) and his vice ($3,000,000.00) some slack, for declaring their assets publicly. My only concerns are on whether the figures represent net assets (assets minus liabilities). Observers will expect conventioneers to address the trickle down effects of naira re-denomination on the Niger Delta economy in particular and Nigeria in general. Just a little reminder, an increase in politicians base salary plus the movement of the naira decimal two step to the left will inject the good feeling for them and their special interest groups only. From a reliable source, Nigeria politicians are already polishing their travel bags and working towards their worldwide visa hoping for jolly rides. Fantasy seems to start calling again. However, at the end, Nigerians will still has nothing to celebrate because the proposed salary increase are only meant for elected politicians and their associates. To expand the benefits and the economy the government must increase base salary for all federal, states and local government employees. However, the private sectors are already horrible and will present the greatest challenge to the re-denomination campaign. How fast the economy grows will depend on private sectors accessibility to foreign markets. Will this lead to another black market (currency) madness? Will the government be ready and able to stop the naira from such criminal activities? One more hint. The so call 419 e-mail was the brainchild of the seventies and eighties when the naira value controls the foreign exchange markets. In 1981, it was 40k/$1.00. However, with the niara de-valuation in the late eighties and early nineties to 10,000k/$1.00, it becomes worthless to criminals (the demand side) who indulged in robbing poor African countries. Observers expect conventioneers to warn Nigeria politicians on the dangers of going back to the seventies and eighties looting activities that gave Nigeria a bad name. The plan to increase their base salary at the same time the naira is heading to re-denomination does not fit well. However, with Mallam Nuhu Ribadu (EFCC) just a tap away, politicians had better be careful. Nigerians in the Diaspora takes the challenge to end corruption in their fatherland very seriously.